Only this morning I was listening to Erykah Badu's seminal 'Baduizm' and wondering to myself why there weren't more records around that totally ape the style. Of course there was Jill Scott's 'Who is Jill Scott' soon after, but where I expected a long line of reverential producers and singers trying to recreate the smooth (but acceptable) atmospheres and tilted vocals there were precious few others. Then the debut album from Goteborg four-piece Little Dragon landed on my desk today and it seemed like fate had struck. 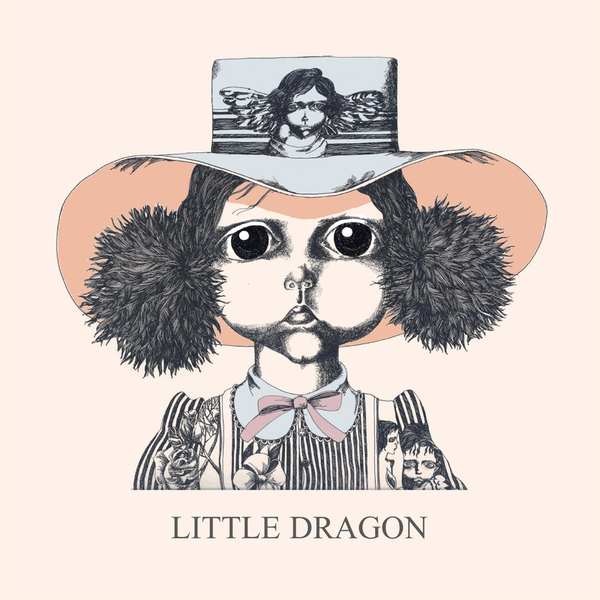 You see, Little Dragon, the latest signing from Peacefrog, are a band that take that crucial late 90s soul element and then update it slightly for the post-Bjork crowd. There are many that would say this is intrinsically an 'electronic' album or throw the wrong kind of references but for me this it's just very good soul music - screw the fact that they ain't from the ghetto, singer Yukimi Nagano's voice is like runny honey to my ears and the production manages to be exemplary throughout, without ever detracting from the songs themselves. Okay so when a European act does something like this you can guarantee that they're going to be labelled 'trip hop', but just listen to 'No Love' or the album's killer first single 'Test' and tell me that you're not hearing something soulful. It might not be the most original sound around, but Peacefrog have harnessed something truly beautiful and at times this really takes your breath away. A gorgeous collection of forward facing soul music, with the voice to carry it - what more could you ask for?